KORN singer Jonathan Davis has confirmed that he will release a new solo album in 2018 and will also tour in support of it. Davis is already scheduled to appear on his own at several European festivals — including France’s Hellfest — with more touring in both Europe and North America expected. Davis has recorded and toured on his own intermittently over the years. 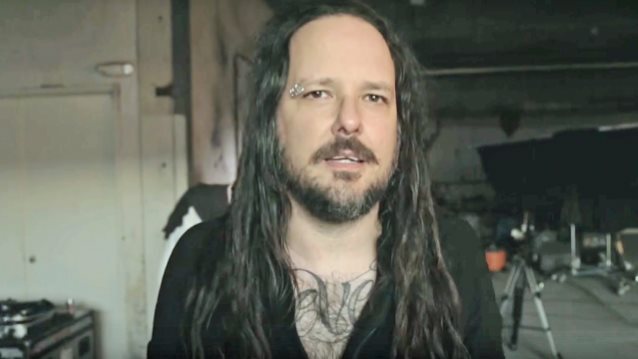 He has composed music for soundtracks, most notably “Queen Of The Damned”, and has toured and DJed frequently over the years as his alter ego JDevil. KORN‘s last album, “The Serenity Of Suffering”, came out in 2016. Next August marks the 20th anniversary of KORN‘s 1998 breakthrough album “Follow The Leader”. Guitarist Brian “Head” Welch indicated in a recent interview that the band is mulling over plans to celebrate that milestone. 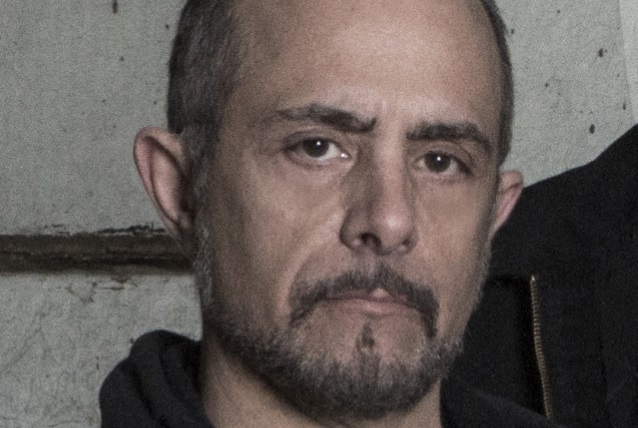 Drummer Sal Abruscato has “amicably” left LIFE OF AGONY, the band he was in, on and off, for the past two and a half decades. Born in Brooklyn, New York, Sal started playing drums at age 10. He co-founded TYPE O NEGATIVE with Peter Steele and performed on the albums “Slow, Deep And Hard” (1991), “Origin Of The Feces” (1992), “Bloody Kisses” (1993) and various best-of compilations and soundtracks. As the drummer for LIFE OF AGONY, he played on “River Runs Red” (1993), “Ugly” (1995), “River Runs Again” (2003), “Broken Valley” (2005) and “A Place Where There’s No More Pain” (2017). Additional projects include SUPERMASSIV and MY MORTALITY. He is also the singer, songwriter and guitarist for A PALE HORSE NAMED DEATH. “A Place Where There’s No More Pain” was issued in April via Napalm. LIFE OF AGONY‘s fifth studio LP marked the band’s first release since singer Mina Caputo (formerly known as Keith Caputo) came out as transgender in 2011. 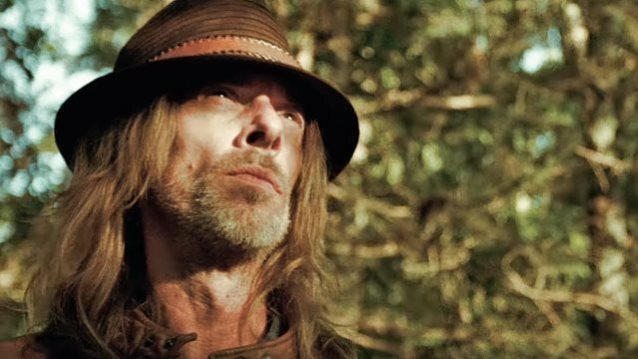 According to Drover, the album will contain mostly original material with “maybe one or two covers,” including his rendition of the ALICE IN CHAINS classic “Junkhead”, featuring his brother Shawn Drover (ex-MEGADETH) on drums and Lance Harvill on vocals. Glen added that he is “really proud” of his version of “Junkhead”, which can be streamed in the YouTube clip below. Glen‘s debut solo album, “Metalusion”, was released in April 2011 via Magna Carta Records. OVERKILL bassist and main songwriter D.D. Verni will release his first solo album in 2018. The record, which was mixed and mastered by Chris “Zeuss” Harris (ROB ZOMBIE, QUEENSRŸCHE, HATEBREED), is said to be a mix of all of Verni‘s influences. “There’s some metal, punk, and classic rock… it’s all in there, from QUEEN to GREEN DAY to METALLICA, I think we covered all the basses!” declares D.D. The lyric video for the song “Fire Up” can be seen below. 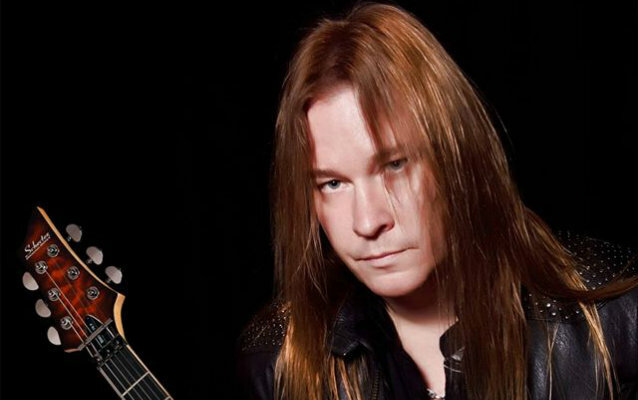 Verni is currently seeking a label home for his first effort, which features a host of guitar players doing guest spots, including Jeff Loomis (ARCH ENEMY), Angus Clark (TRANS SIBERIAN ORCHESTRA), Jeff Waters (ANNIHILATOR), Bruce Franklin (TROUBLE), Mike Romeo (SYMPHONY X), Mike Orlando (ADRENALINE MOB), Steve Leonard (ALMOST QUEEN), and Andre “Virus” Karkos (DOPE), who also contributed the rhythm guitar tracks. Rounding out the recording lineup is former OVERKILL drummer Ron Lipnicki. In addition to OVERKILL‘s 18 full-length albums, Verni has four releases with his side band THE BRONX CASKET CO.
Due on March 9, 2018 via Century Media is “The Complete Collection” by acclaimed U.S. progressive/thrash metallers NEVERMORE. A strictly limited 12-disc box set covering all recordings by these Seattle innovators, it includes all albums (some with bonus tracks), all EP and live releases, plus an extra disc of rarities and previously unreleased demo and live recordings. It comes with a hand-numbered collector’s certificate, 80-page booklet (with lyrics, photos, liner notes) as well as an exclusive poster flag (size: 95x65cm). Formed in Seattle back in 1992, NEVERMORE developed quickly into one of the most revered metal bands of the time, representing a metallic counterpart to the “grunge” acts of the era. Blending the heaviness of traditional American thrash with progressive elements as well as the gloomy lyrics and impressive, emotionally charged vocal range of Warrel Dane (of SANCTUARY fame), albums such as “Dreaming Neon Black”, “Dead Heart In A Dead World”, and “This Godless Endeavor” are considered metal milestones to the very day. 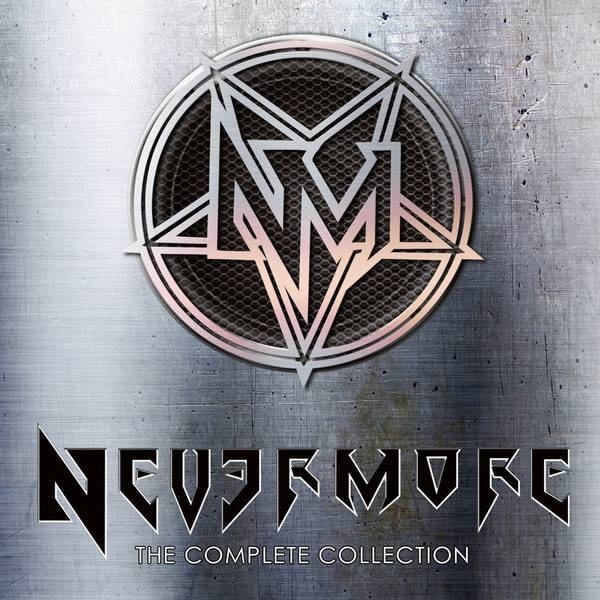 Having disbanded in 2011, NEVERMORE‘s timeless and incredibly consistent back catalog is revisited by Century Media Records on stunning, strictly limited box set release. Expanded with a poster flag (showing the band’s lineup on their masterpiece “This Godless Endeavor”), a disc filled to the brim with cover versions, bonus tracks and rarities, “The Complete Collection” celebrates one Century Media‘s finest bands on the verge of the label’s 30th anniversary in 2018. Dane died on December 13 in São Paulo, Brazil at the age of 56. The singer reportedly had a heart attack during the night and could not be revived. 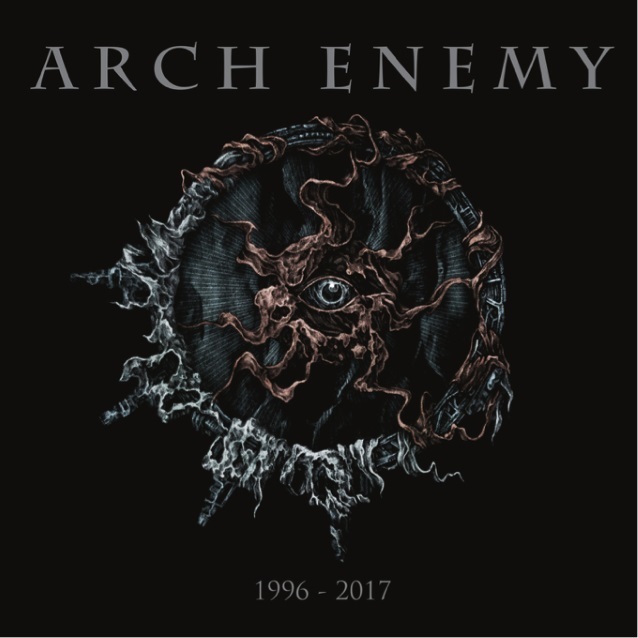 Extreme metallers ARCH ENEMY will release a deluxe vinyl box set including all 10 studio albums and a bonus gatefold 2LP featuring covers and bonus tracks recorded between 1996 and 2017 on February 16, 2018. The hand-numbered box set also comes with a 36-page-booklet with liner notes. All albums are mastered for vinyl. Go to this location for all preorders. ARCH ENEMY‘s latest album, “Will To Power”, was released on September 8 via Century Media. Co-produced by guitarist Michael Amott and drummer Daniel Erlandsson, the disc was mixed and mastered by longtime collaborator and friend Jens Bogren (OPETH, AT THE GATES, DIMMU BORGIR). The album’s cover artwork was designed by Alex Reisfar. “Will To Power” marks the second ARCH ENEMY album since the departure of longtime singer Angela Gossow and addition of Alissa White-Gluz (formerly of THE AGONIST). It is also the first ARCH ENEMY disc to feature former NEVERMORE guitarist Jeff Loomis, who joined the band in late 2014. Rex recently completed a handful of German shows with his solo band, which consists of Joe Shadid on guitar, John Luke Hebert on drums, Francisco “Pancho” Tomaselli on bass and Lance Harvill on guitar. Prior to embarking on the German tour, Rex played a one-off show at Mercy Lounge in Nashville, Tennessee on July 14. “Smoke On This…” was released on July 28 via Entertainment One (eOne). The disc marks the first time in Brown‘s career in which he serves as both lead vocalist and guitarist in a band. 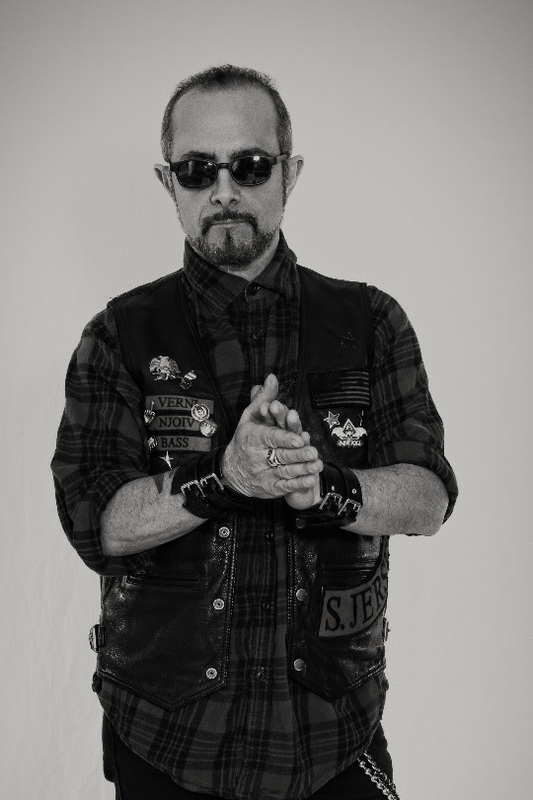 Rex tracked lead vocals, rhythm guitars, and bass for the album, working with his primary collaborator and old friend Lance Harvill, a Nashville-based guitarist and songwriter, on the album’s songs. Drums were tracked by Christopher Williams, whose talent has been utilized by country music star Lee Greenwood, the reconstituted BLACKFOOT and, most recently, metal legends ACCEPT. The album was produced by New Yorker-turned-Nashville-transplant Caleb Sherman, a multi-instrumentalist who has worked on records by LITTLE BIG TOWN and PORTER BLOCK, among others.